As the world reacts to today's announcement of Jodie Whittaker as the first female star of Doctor Who, we're getting the faintest of details on how the new owner of the TARDIS will dress - or at least, how she won't. The newly minted Time Lady is clarifying that her mysterious, cloaked look in the official teaser trailer released by the BBC today is not how she'll look as the Doctor. News of the Broadchurch and Attack The Block star taking on the iconic role rocked the internet Sunday, as the BBC finally took a step they've been hinting at for awhile now, casting the first lead in the 54 year history of the science fiction institution who wasn't a white male. While obviously an historic and momentous occasion for the series, Whittaker is also getting the more traditional new Doctor questions as well. She was short and to the point when asked about the Thirteenth Doctor's fashion sense in an interview with the BBC, clarifying that the aesthetic style of the character hasn't been solidified yet. In the teaser trailer released today, Whittaker is seen walking through a wooded area toward the TARDIS in a dark cloak, leading viewers to speculate if that would be part of her Doctor's look. Whittaker has seemed to shoot that down, as the cloak was just used to hide her identity until the end of the teaser. While early discussion is understandably focused on Whittaker's shattering of the Gallifreyan glass ceiling, the clothes a Doctor wears generally offer a surprising amount of insight into what sort of Doctor viewers are in for. Fourth Doctor Tom Baker's trench coat and oversized scarf have become as iconic Batman's cape and cowl - a perfect visual embodiment of the strange, mercurial iteration of the Time Lord he would be. Following Matt Smith's comparatively warm, friendly Eleventh Doctor's bowtie and tweed, Peter Capaldi's darker, more aloof Doctor was heralded by a spartan, unadorned black suit, accentuated only by the red lining of his jacket - simultaneously a visual splash of unpredictability and an homage to the Doctor of Capaldi's childhood, Third Doctor Jon Pertwee. This is a time of massive uncertainty for Doctor Who. Not only will Whittaker be taking over for the departing Capaldi, longtime series showrunner Steven Moffat is stepping down to make way for Whittaker's Broadchurch collaborator, Chris Chibnall. While Chibnall has written a handful of Doctor Who episodes in the past, it's impossible to predict what his iteration of the show will look like. The selection of Whittaker as the Doctor suggests a bold new direction for the series. We'll have to wait and see if that boldness is reflected in the new Doctor's fashion sense. 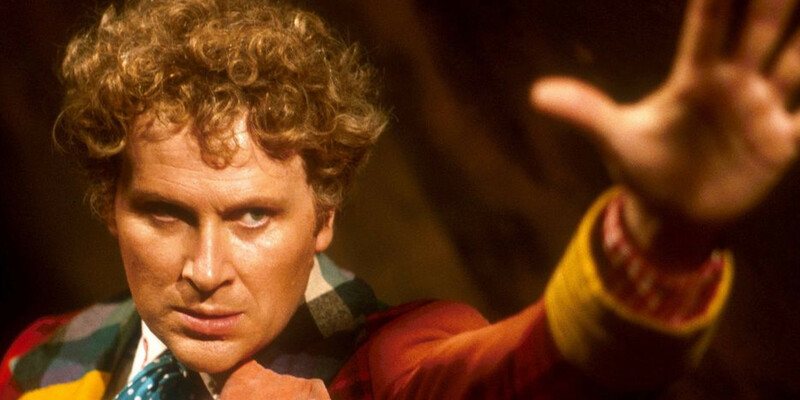 Let's just hope we can avoid any Colin Baker-esque style calamities.